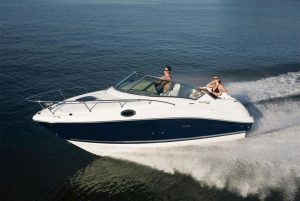 Sea Ray Boats have been on the water since 1959 and are known for their beautiful yachts, sport boats and sport cruisers. 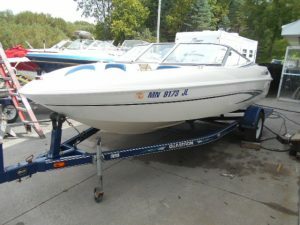 This brand of boat is highly regarded and ideal for those who are looking for a smooth and quiet ride. 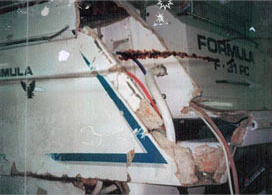 If you have owned your Sea Ray for a number of years, it may be time to consider some renovations or restorations to keep your boat functioning well and looking its best. 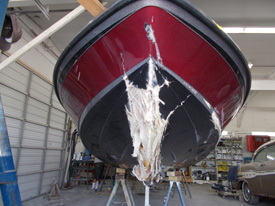 Anchor Marine Repair specializes in Sea Ray boat restoration. 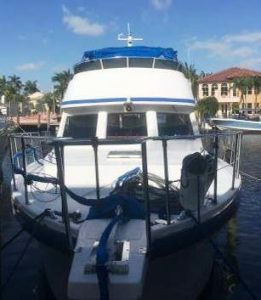 We can repair or replace old or damaged upholstery, replace the windows or the windshield, and even restore the floor of the boat so that you can enjoy it for many more years to come. There’s something about a trawler boat that just doesn’t disappoint. You get out on that water, and can go for days without refueling, spend your day drawing through the water on the Intercostal Highway enjoying the view as you make your way up and down the canal. Those that have a trawler boat love it and when it’s in need of repair, substitutions just won’t do. If you are in need of a trawler boat repair, let Anchor Marine Repair help get you back on the water and fishing once again! Summer is upon us and it is time to get your boat in tip top shape to make sure you do not miss out on any good boating days this summer. 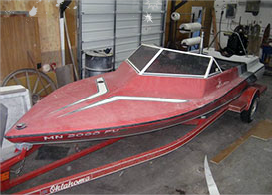 At Anchor Marine, we understand your boat is very important to you and we share the same passion. We love everything about boating from the activity itself to being on the water and therefore we are excited to share our passion with you and make sure that your boat is up and running for you to enjoy the summer days.